Capacity of around 3000 mAh is plenty because it’s usually enough for 8 to 10 hours of continuous activity such as browsing web or watching videos. 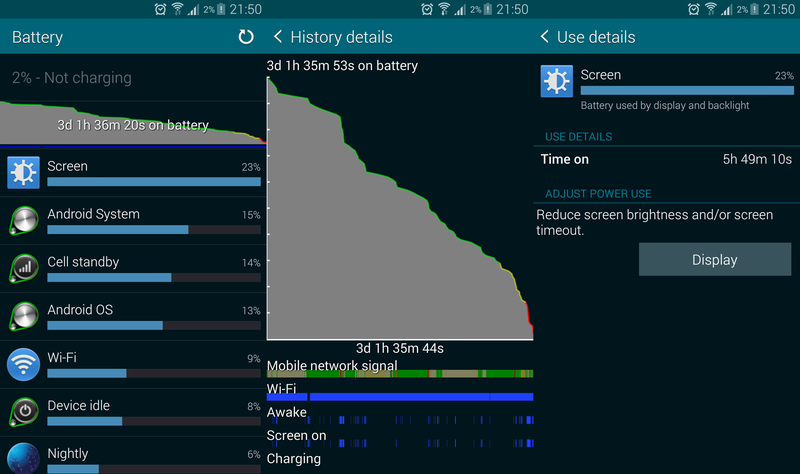 Here’s a typical power consumption of my Samsung Galaxy S5 (captured about two years ago). 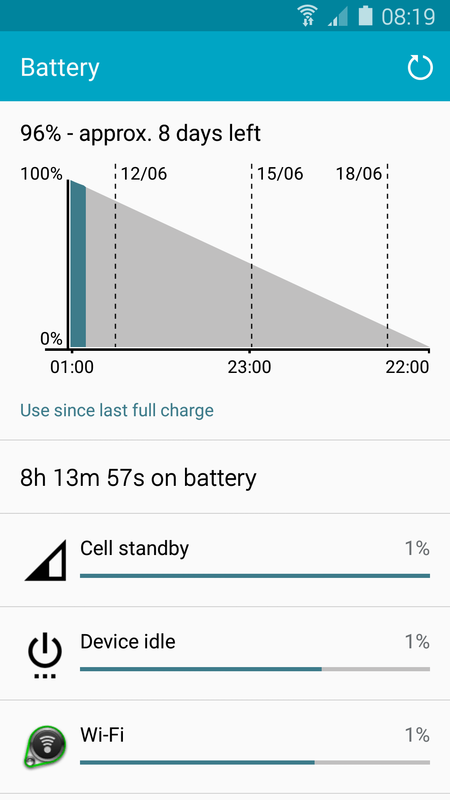 With its 2800 mAh battery, the phone lasted little over 3 days including almost 6 hours of SOT (Screen on time). Today, the same 2 years old battery drops only 3-4% overnight. There are around 50 apps installed, both WiFi and mobile networks are active. Of course the device is connected to network – Hangouts and WhatsApp are active (they use GCM) but there are also apps connected not using GCM – Nine (Exchange client) and Conversations (XMPP client). I can say that I find the battery tests done by gsmarena.com accurate. If your phone is stationary and withing reasonably good WiFi / mobile network coverage, there’s no reason to have higher battery drain than 0.5% per hour.